You know that I like to start my playlist entries with anecdotes about what I've been up to, but I can't think of anything interesting that I've done or that has happened to me in the last week. I watched "Diners, Drivers and Dives" for two hours straight with my mother-in-law a couple of days ago. I read a long academic article about Mexican hit men ("sicarios") last night. A student from my alma mater, Michigan State University, called me to ask for money. In the course of a long conversation (a little too long for my tastes), it came out that she had immigrated to the states from Viet Nam when she was a teen. Here's the thing though, she had the strongest Michigan accent. If I had heard this accent in 1986, it wouldn't have even struck me as an accent. But having lived in North Carolina for more than 20 years, I pick up on it immediately. I went to my 30 year hear high school class reunion a couple of years ago. I thought to myself, "my old high school classmates talk weird." 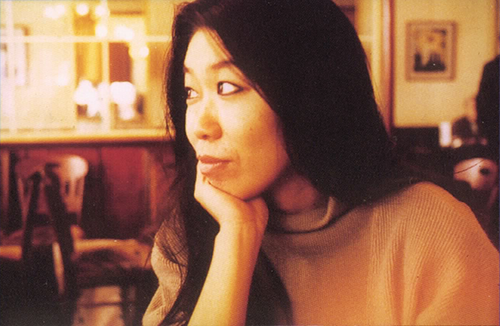 Today I featured the piano stylings of Aki Takase, who has just released an album called "My Ellington." She can play moody, melancholic meditations; she can get the left hand stride going; and she can play the dissonant, outside stuff too. Each tune on the album has these sort of contrasts. That's what piano playing is all about, baby! I'm listening to the Glen Jones Radio Programme right now, and they're playing an interesting cover ... food for thought for next week's contest. Jim won again this week, with three of four. Mary Ellen in second with two. I realize now, that Mary Ellen is younger than we are. Having come of age in the 80s and 90s, she doesn't necessarily share Jim's and my cultural references. I think the cover contest is geared toward a person who came of age in the seventies, like Jim and me. I was au currant with popular music until about 1980. I think it was just after The Clash hit that I quit paying attention to the latest thing. It's not that I quit listening to music, just that I discovered jazz and whatnot, and started spending my time in the time machine, traveling backwards, not forwards. You could put it this way: I was listening to Rahsaan Roland Kirk and Hank Williams, not The Cure or Weezer. To my credit, I was hip to Tom Waits, Springsteen and Prince, but to not much else that was new. 4. Who is covering "Stairway to Heaven"? - Frank Zappa (I only played a snippet). I did a half an hour of New Orleans trumpet. Started with Freddie Keppard, who back in the twenties succeeded Buddy Bolden as the king of the cornetists in the Crescent City. He would sometimes make animal sounds or imitate laughter when he played. We continued with Louis Armstrong, the most famous of all New Orleans trumpet men. "Weather Bird," with Earl Hines on piano, one of the most canonical of jazz tunes. Skipped ahead some decades to hear Wynton with the mute in place play "New Orleans." Wynton is obviously highly attuned to the trumpet tradition of his hometown. You can hear some Freddie Keppard in his playing. Terence Blanchard played "Ghost of Congo Square." He is a contemporary of Wynton and even played in high school bands with him. It was awhile before he lived up to his potential, though. In fact, it wasn't until he started studying with Wynton's dad, Ellis. Wynton recommended him to take over the trumpet seat in Art Blakey's Jazz Messengers when he moved on. The tune he played is from Spike Lee's documentary about Hurricane Katrina,"When the Levees Broke." We continued with Nicholas Payton, playing "People Make the world Go Round," and finished up the set with young Christian Scott, sitting in with the NEXT Collective, playing "Marvin's Room." I had a good time playing records this morning, as I always do. I may not be on the air next Sunday. It has yet to have been determined if the family will be traveling somewhere. Catamount Community Radio, Sunday mornings, 10-12 (ET) on WWCU-FM. I would like to think my music stylings can keep up with Jim Dandy and you, maybe? I may be young, but I can still name that tune in 2 notes. Ha! Keep it tough, so I can learn.